A last minute appeal against the sale was rejected by a judge in Paris yesterday, resulting in an indiscriminate dispersal of ancient spiritual artefacts originating from Arizona's Hopi tribe. The auction house Neret-Minet Tessier & Sarrou yesterday went ahead with the sale of a collection of sacred items, having repeatedly turned down requests by the Hopi tribe to postpone the event. Having rejected the legal challenge mounted by Survival International, the judge ruled that ‘in spite of their sacredness to the Hopi, these masks are not a representation of any creature, alive or dead’. Lawyers had instead requested that the judge halt the sale in order to give time for the lawfulness of the collection to be established. Oscar winner Robert Redford earlier added his calls for the auction to be stopped, commenting that "to auction these would be, in my opinion, a sacrilege – a criminal gesture that contains grave moral repercussions. I would hope that these sacred items can be returned to the Hopi tribe where they belong. They are not for auction". The masks, known as the Katsinam or 'friends' are of great spiritual importance to the 18,000 strong Hopi tribe, who have demanded that the objects are immediately returned to them. Pierre Servan-Schreiber, counsel for the tribe, commented that "this is a very unfortunate outcome, as these objects will now be sold and dispersed, and the likelihood that they will eventually return to their true home amongst the Hopi is severely reduced. It also probably means that French institutions are still not fully aware of the devastating consequences that the mercantile fate of these truly sacred objects may have on tribes who have already suffered so much". Stephen Corry, Director of Survival International, later warned that "potential buyers of these objects should be aware that the Hopi are profoundly distressed at their sale, and regard them as the rightful property of the Hopi people. 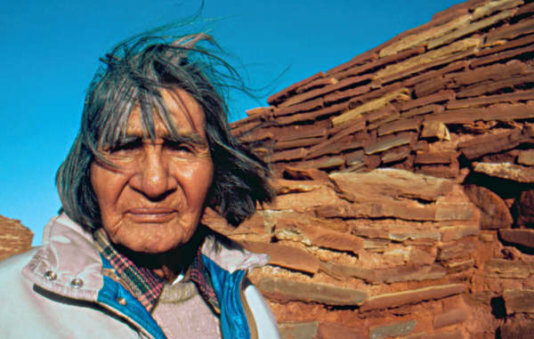 French law appears to offer the Hopi little comfort, but we still hope that justice will prevail, and that these objects can still be returned to their proper owners". Another version of this article originally appeared on the website of Survival International.